The most underreported, under diagnosed and underestimated brain trauma by far is concussion. Concussion accounts for 90% of TBI with millions of trauma cases every year. Through our field research, outreach, and education, Brain Trauma Foundation is leading the charge to better prevent, diagnose, and manage concussion. Brain Trauma Foundation developed this definition based on the most current evidence available. It is used by leading organizations, such as the NCAA. A concussion is caused by an external force hitting the head. This can happen anywhere, anytime, and to anyone in situations like sports games, car crashes, or falls. In the U.S. alone, reports estimate over 2.5 million cases of concussion annually. What is a typical recovery? Most people with a concussion recover fully after the injury, and 98% of people recover in the 1 - 3 months post-concussion. However, not all symptoms improve at the same time, and everyone recovers differently. There is no single measure or protocol to diagnose concussion. Brain Trauma Foundation believes that medical professionals should use a combination of attention, balance, and memory tests when evaluating a concussed patient. However, the current diagnosis typically relies on symptoms. Brain Trauma Foundation has changed that by developing the first measure of attention via eye-tracking goggle technology: EYE-SYNC. This groundbreaking test measures a person’s ability to pay attention by tracking eye movements while following a target moving in a circle. EYE-SYNC, now available via Brain Trauma Foundation’s spin-off company, Sync Think, overcomes the limitations of traditional cognitive testing to provide an easy-to-use, rapid, objective tool for initial screening and recovery monitoring. For more information, visit SyncThink. Biomarker: Brain cell proteins released after force to the head into the blood. Imaging: The use of various techniques to either directly or indirectly image the structure, function/pharmacology of the nervous system. Accelerometer: An electromechanical device that measures acceleration forces. Male athletes suffer a higher rate of concussion than female athletes. Female athletes are 1.4 times more likely than male athletes to suffer a concussion. In fact, research shows that in comparison to their male counterparts, female soccer players can suffer up to 40% more concussions, and female basketball players can suffer 240% more. A concussed person should stay in a dark room and limit brain and body activity for 1-2 weeks following the event. Previously, medical professionals often recommended rest following a concussion. However, current research indicates that early exercise improves concussion recovery. Every five seconds, a man, woman, or child suffers a traumatic brain injury in the U.S.
Traumatic brain injuries (TBI) occur all too often – every five seconds. In fact, TBI is the leading cause of death among adolescents. Medical costs associated with traumatic brain injuries are low compared to other illnesses. The estimated annual cost to U.S. society for care and lost productivity due to brain injury is $76.5 billion. Only athletes suffer from mild or severe TBI. 235,046 US service members were diagnosed with a TBI from 2000-2011. That’s 4.2% of all service members in the Army, Navy, Air Force, and Marine Corps. Medical professionals don't fully understand what a concussion is. Medical professionals disagree on how to diagnose a concussion. 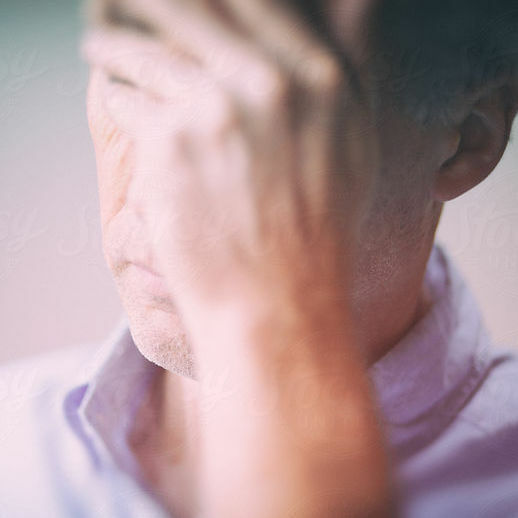 Historically, symptoms, such as headache, have been used as a diagnostic tool. However, current research suggests that medical professionals should instead focus on important brain functions affected by a force to the head, such as attention and balance. Helmets prevent scalp injuries and skull fractures. A concussion results from a whiplash-type head motion. Only by restricting the motions of the neck can risk of concussion be reduced. 70% of traumatic brain injury patients complain of sleep disturbances. Most patients suffer some degree of disrupted sleep following a concussion.